By today’s standards, the Univac I was a clunky behemoth of a machine. It filled an entire room, weighed as much as four cars, and had an adjusted-for-inflation cost of around $8 million. But when it accurately predicted the outcome of the 1952 presidential election, it sold the public on computers. He’s not just talking about Jobs, Wozniak, or Gates. He also means lesser-knowns like Herman Hollerith, inventor of a 19th census tabulating machine that turned hand-written notes into machine-readable data, and Curt Herztark, an Austrian engineer who refined the design for his famed calculator while imprisoned in a Nazi concentration camp. 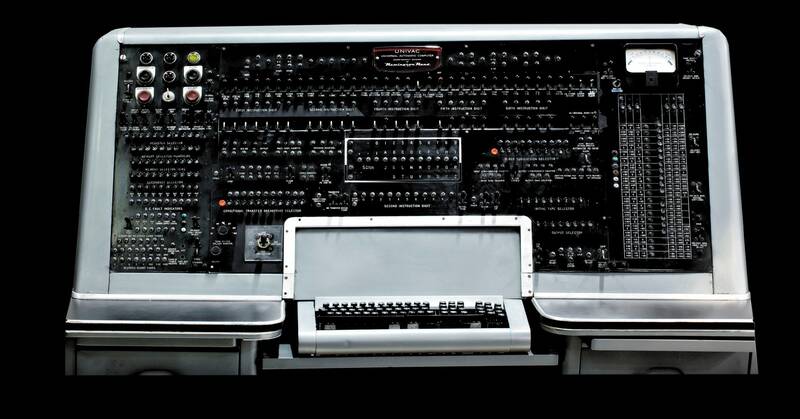 Their inventions paved the way for others, and now belong to the 90,000-strong collection at the Computer History Museum in Mountain View, California, where Richards shot the photos for his recently-updated book.